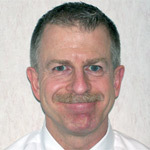 Dr. MacKewiz received a Bachelor of Science degree from The Ohio State University in 1980. He earned another Bachelor of Science degree in addition to his Doctor of Optometry from the Pennsylvania College of Optometry in 1984. He received academic scholarships from both The Ohio State University and the Pennsylvania College of Optometry, in addition to the E.F. Wildermuth Award given to the Pennsylvania student with the highest grade point average. Dr. MacKewiz completed Internships in the Pediatric Department of the Eye Institute in Philadelphia, and the Ophthalmology Department of the Walter Reed Army Medical Center in Washington, DC. At Walter Reed, Dr. MacKewiz rotated through the glaucoma, external disease, retina, and neuro-ophthamology services. He also attended Grand Rounds with senior Ophthalmology residents where he saw patients referred to the center from all over the World. Before starting his practice in Bear, he served as the Director of the prestigious Omni Eye Service in Rhode Island, a regional consultation referral center. He also was a staff Optometrist at the Christiana Care Health Center and the Nemours Health Clinic. Dr. MacKewiz is licensed in Delaware, New Jersey, North Carolina, Pennsylvania and Virginia, and has special interests in glaucoma, ocular trauma, and pediatric eye care. His professional memberships include the American Optometric Association and the Delaware Optometric Association. When not seeing patients, Dr. MacKewiz enjoys skiing, scuba diving, running and 2-man beach volleyball. He is also a loyal Ohio State Buckeye fan.